Want to know the cherry on top of a perfect fall look? A killer piece of outerwear. What you've put together underneath it all suddenly becomes slightly less significant as your sole purpose in life becomes to stay warm. Instead of feeling bombarded by a boring coat this season, we want to ensure you're excited by the outerwear selection hanging in your closet. 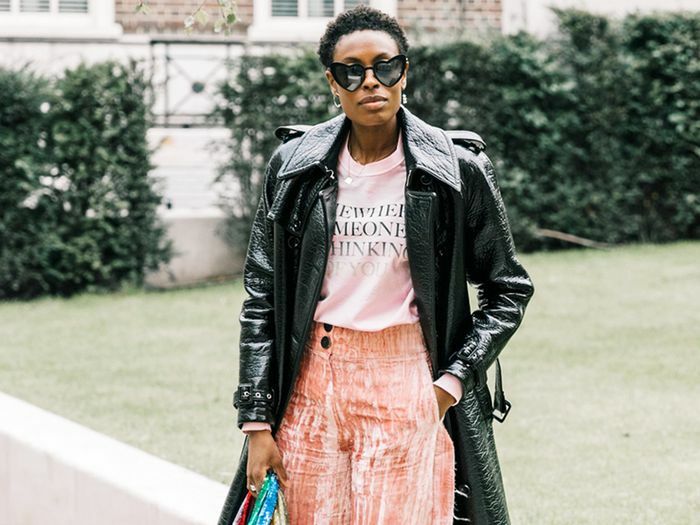 The fashion girls we love have unsurprisingly pioneered the way for us yet again, and here, we've identified the five trends they have been gravitating toward this season. From shearling jackets to patent leather coats, there's no way your look will be weighed down by anything other than a fabulous-looking topper. Whether you're rushing out the door, headed to the office, or on your way to an elegant event, the jackets and coats in the roundup ahead have undoubtedly got your back. Go on to shop the five outerwear trends fashion girls are loving this fall. 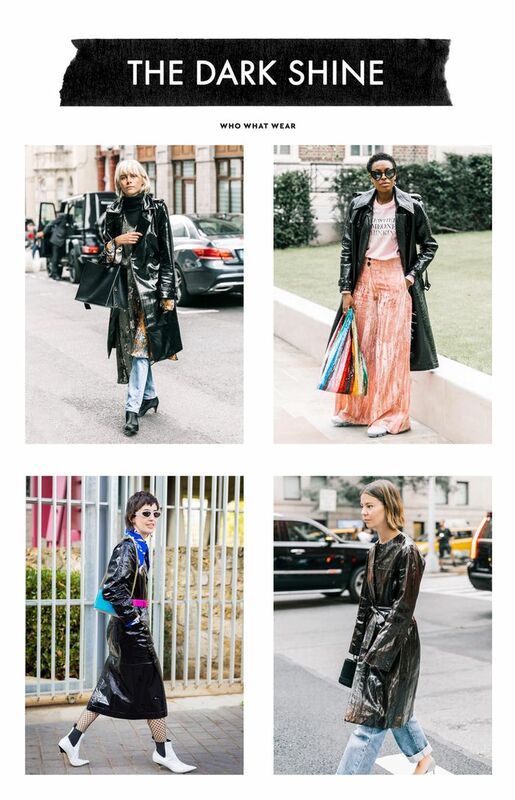 Patent leather coats were spotted all over the streets of fashion week and—as you can see here—look great layered over just about everything. Available in sizes S to 4X. Available in sizes 0 to 4. Can it really even be fall without at least one cozy shearling jacket hanging in your closet? The answer is no. Whether you're in need of a quick extra layer or want to add some texture to a fashion-forward look, shearling-adorned jackets are where it's at. You know what they say—the bigger the puff, the cooler the girl. This season, go bold with your puffer choice and opt for unique colors and shapes. Available in sizes XXS to M.
The checked blazer craze has quickly transitioned into the checked coat craze as fashion girls everywhere are reaching for any topper that is checked and tailored. Available in sizes M to XL. Why not add some color to your fall outfit planning with a coat bursting with flowers? As seen here, there's no way you'll be able to run around your city without receiving a few compliments—these babies are showstoppers. Available in sizes 40 IT and 42 IT. Available in sizes S and M.
Next up, shop 17 sherpa-lined denim jackets you'll bundle up in all season long.